Bengaluru: A politically loaded proposal by Karnataka's Congress government to grant separate religion status to Lingayats may not be approved by the centre, BJP chief Amit Shah indicated as he addressed a gathering of Veerashaiva seers yesterday. "We will not allow the division of the Veerashaiva-Lingayat communities," Amit Shah said in Bagalkote, where he was meeting over 100 Veerashaiva seers at the Shivayoga Mandir. "We will not allow the use of religion for politics. I am not here to do politics. I am here to take your blessings," he told them. Speaking to reporters, the BJP president said his party would not allow the Congress to get away with the "conspiracy". The Siddaramaiah government's resolution seeks the recognition of the Lingayats as a religious minority. 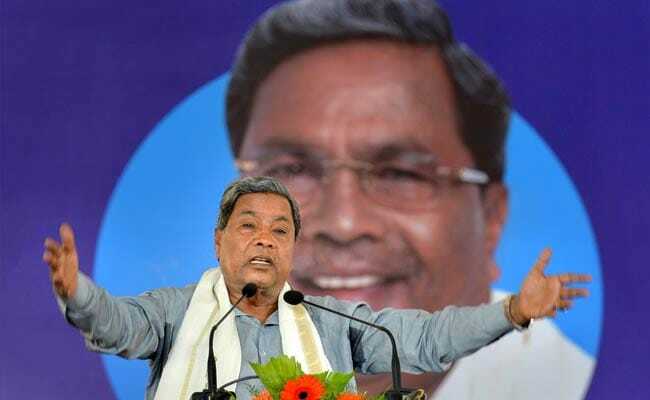 It is seen as the Congress's giant move to checkmate the BJP, which has for years claimed the unstinted support of the influential and politically dominant Lingayat community that makes up around 17 per cent of the state's population. The BJP's chief ministerial candidate BS Yeddyurappa is also a Lingayat. The BJP said many have expressed concern over the Siddaramaiah government's resolution on Veerashaiva-Lingayat community. "Many have expressed concern over the Siddaramaiah government's resolution on Veerashaiva-Lingayat community. After four-and-a-half years, Siddaramaiah has made this move. This is nothing but a conspiracy to mislead people before the elections and stopping BS Yeddyurappa from becoming chief minister. BJP and people understand this conspiracy and will not let this happen," Amit Shah said. His audience in the region was the Veerashaiva community, which is clubbed with the Lingayats as both groups worship Lord Shiva. The Veerashaivas do not approve of the Lingayat resolution. In pushing for minority status, the Lingayats see 12 century social reformer Basavanna as their founder and view the Veerashaivas as separate. Ananth Kumar, a senior BJP leader, said in 2013 that the Congress government at the centre had rejected the Lingayat proposal. "The Congress is now making it an election issue to damage Yeddyurappa's chances. If (Congress president) Rahul Gandhi doesn't know this, his advisors should tell him. Lingayats are part of the Veerashaiva Hindu Samaj," Mr Kumar had said. The 2013 proposal called for a separate "Veerashaiva-Lingayat" religion.